Twitch.tv is still new to a lot of people, but it's grown big enough in recent years to support its own convention at San Francisco's Moscone center. ZAM had the rare-but-cherished chance to sit down with a Twitch partner known as Miss Molly Lolly. She shared some insights about TwitchCon, the new convention, and what it takes to be a streamer. Lindsay Geektron and Mike Bailey, along with the Gamer Escape staff, sat down with Naoki Yoshida at E3 last week to discuss the now-released Heavensward expansion for Final Fantasy XIV. Translations have been provided by Gamer Escape. Hey rhythm fans! Not only can you read up on the latest news about Inside My Radio here, you can also use this article as a reference on how to spell rhythm! I promise there are just two Hs. Regardless, we're here to discuss the brainchild of Iceberg Interactive and Seaven Studio, Inside My Radio, and how this beatboxing gem is set to hit on PC and XBox One soon. Mike B and Lindsay Geektron hit the floor of PAX East last weekend to grab some interviews and footage of the show. They took a look at Alienware's Steam Machine, chatted about XSplit's latest version update, and snagged interviews for Gigantic, The Witcher 3: Wild Hunt and Elite: Dangerous. Finally, they took a stroll through the Indie Megabooth to bring us an amazing megamix of 30 indie games in under 30 minutes. The Total War series is celebrating 15 years in 2015, making it one of the longest running game series to date. Over the years we've seen the Medieval and Roman times, the likes of Napoleon and more recently, Attila, plus more. The series is far from done with more on the way, as that Warhammer-like growl at 2:35 in the video lets us know. Lindsay "geektr0n" Ferguson hosts ZAM's latest installment of Friday Update Arcade! Topics discussed include TwitchCon, Crowfall's Kickstarter, GTA V PC edition hitting another delay, the Supernova reveal and more. Blizzcon 2013 had new titles in store this year and a new addition into the Warcraft realm asks players to toss aside their cannons, catapults, cat o'nine tails, cleavers, clubs, crossbows, cudgels, cutlasses and whatever other weapons that begin with a "C" in favor of a different kind of weapon. The card. Hot on the heels of the news that Warface has entered Closed Beta, Crytek have released another tempting morsel to convince you to sign up. Fresh from the studio is this Closed Beta trailer, showing off that CryEngine 3 goodness in glorious detail. 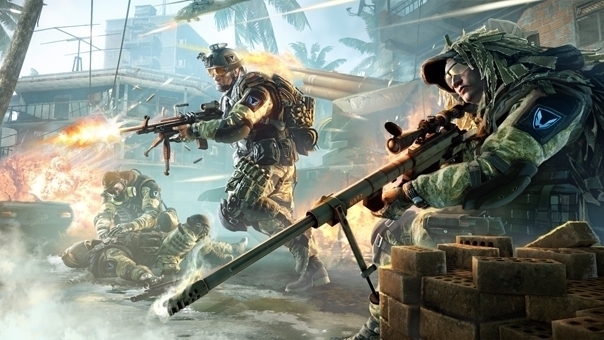 Published by Trion Worlds through their Red Door platform, Warface offers two modes of play. Competitive PvP sees teams battling it out against each other for dominance, while co-op PvE creates a random daily challenge intended for teams of 5 players. Already wildly successful in Russia, players in US and Europe can sign up for the closed beta now. Full launch is planned for later in Spring 2013. Blizzard's got a full-court press going on behalf of the upcoming 5.2 content patch for World of Warcraft: Mists of Pandaria. Today, they unleashed a brand new teaser trailer showcasing what's to come in the realm of The Thunder King!